The Chief Executive Officer of the Ghana National Petroleum Corporation (GNPC) has confirmed, he once worked with Global Haulage Company Limited from which the GNPC bought a property worth $7.5 million. Despite his past association with the transport entity, Dr. Kofi Koduah Sarpong says that relationship did not influence the negotiation and purchase of the multimillion-dollar property in a gated community at Chapel Hill in the Western Region capital, Takoradi. 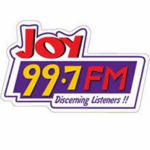 “I had been connected with Global Haulage, but I must tell you that the transaction is above board, all valuation reports by relevant agencies went through the board of directors [and] the board of directors’ subcommittee on properties looked at it and recommended [its suitability] to the board,” Dr. Sarpong disclosed Tuesday on Joy FM’s Super Morning Show. The transaction which was sealed in December 2017, has generated controversy following a memo from Dr. Saporng ordering the GNPC finance officer to urgently transfer a total sum of $7.5 million to Global Haulage, the company he once worked for, as payment for the said property. The central bank was forced to take the drastic measure to protect depositors’ funds after the affected banks including UniBank, Sovereign Bank, Construction Bank and Beige Bank, were declared insolvent. It is believed that proceeds from the sale of the property which is said to house between 18-21 apartments, were injected into the struggling Royal Bank to give it a lifeline before the action was taken by the regulator. But in his defence, the GNPC CEO has brushed off suggestions he may have put himself in a situation of a potential conflict of interest. According to him, he was not involved in the negotiation of the transaction because of the close relationship he had with Global Haulage. “Because of my experience [and] knowing that I have been related to Global Haulage, I never took part in the negotiations and even the vendors themselves found it very difficult getting me to help them with the transaction,” he told host of the Show, Daniel Dadzie. He explained, he had had to issue the memo to the finance officer to effect the payments before an audit into documents covering the transaction because Global Haulage needed the money, while the GNPC legal officer, Ama Awuah-Kyeremanteng had taken a vacation. 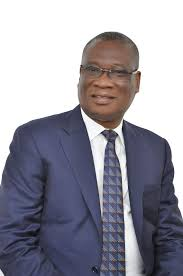 “I don’t see anything wrong with this at all… and it’s not something that was done nicodemously; it was done openly [and] everybody on the board and even GNPC staff involved in properties cannot say they were not aware,” Dr. Sarpong continued. He also saw nothing wrong if Global Haulage decided to pump the money into Royal Bank for it to escape the liquidity challenge it faced. “If they [Global Haulage] took the money and they were injecting it into Royal Bank then so be it but there will be nothing wrong with it because they’ve sold their property properly to us [GNPC],” Dr. K.K Sarpong said.